How many of us have used that phrase … “Ya gotta love it when a plan comes together !! !” Why does this particular circumstance merit such recognition? Is it so rare, so surprising that an outcome actually resemble what was planned, that it requires its own ‘folk saying’? Let’s think about this for a moment, because for most in the corporate world, planning what’s going to happen, then orchestrating the resources and taking the neccessary actions to deliver on the plan pretty much preoccupy most of what we spend our waking energies on. Our reward? Sleepless nights worrying about what happens if we don’t meet plan !!!. In the software business, we would call this Groundhog’s Day experience a “circular do-loop” — in the real world, this probably more resembles paranoid schizophrenia :-). How about the following platitudes: “No surprise is the best surprise” … “Say what you are going to do, then Do what you said you would do” … “Plan the work, then work the plan”. Sound familiar? The fact of the matter is, we all know that this Emperor has no clothes. The dirty little secret that we all know but never admit to each other, is that nothing ever happens according to plan. In fact, the best way to ensure that something doesn’t happen is to put it in a plan !!! On the rare occasion when it does happen, it feels like we’ve just won the lottery !! Here’s my point. 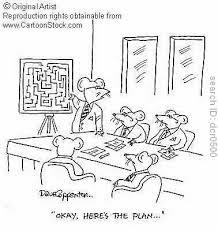 Plans are typically built, based on historical experience and patterns. We typically forecast what it is that is going to happen, based on our historical experience of what actually has already happened. My contention is that this does not cut the mustard when it comes to the future. Unless you are Nostradamus, flexibility will trump the ability to put together a plan that anticipates all eventualities. 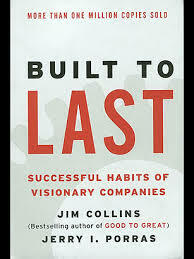 No matter how big or small the enterprise, the ability to get through each of the devastating headwinds created by each of these major events was completely reliant on the ability to take brutal action quickly to maximize options, and then to do whatever it takes to outlast the cycle with as many choices intact as possible, before rebuilding rapidly to take advantage of the upturn. Flexibility and and adaptability trumped the perfect plan in each of these situations. Of course I am being somewhat tongue in cheek here to make a point — there is power in the planning process. But there is huge danger in becoming overly complacent with the static output of that process — the plan.